Enjoy this 100 feet high ride for 45 minutes. Relax and be refreshed by the cool Baguio breeze and clean scent of pine trees. 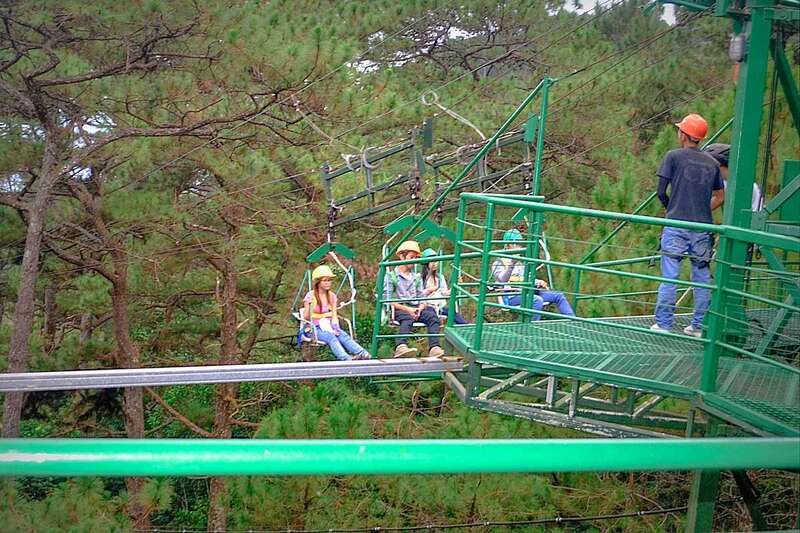 The Canopy Ride of Tree Top Adventure Baguio can give you a peaceful view of the park and can make you feel part of it. A maximum of four persons can experience this. There are four cable chairs. The height of each guest should be at least 3 feet 6 inches tall. There’s no weight limitation as long as you can fit in the cable chair. The facilitators will strap you in and off you go. The ride moves slowly so you can better appreciate the scenery. Make sure all your bags are zipped so nothing falls down. I was affected whenever I looked down. I felt as if the cable chair was too small and I’d fall off. But of course that was just my mind playing tricks on me, because this ride is safe and we’re securely buckled. 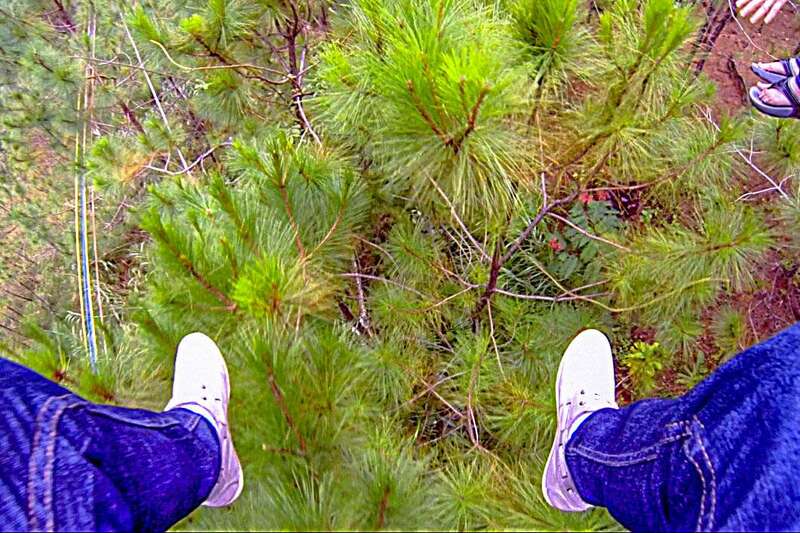 I had fun touching the needles of the pine trees. I even tried pulling a pine cone. There were several instances when our feet brushed against the top of the trees. Wouldn’t it be fun if we also saw squirrels hopping from one tree to the next. But I’ve never seen squirrels in Baguio (I’ve seen wild squirrels in Palawan). After a few minutes, my friends and I reached the second station and we had to go down for the transfer. There are a total of eight stations. The ride’s distance is about at total of 800 meters including the funicular. The funicular is like an escalator. But instead of standing, we were seated on a cart similar to carts used by miners underground, only it’s machine-operated. A facilitator rides with the guests at the funicular and will gladly take photos of you. This takes about two to three minutes. 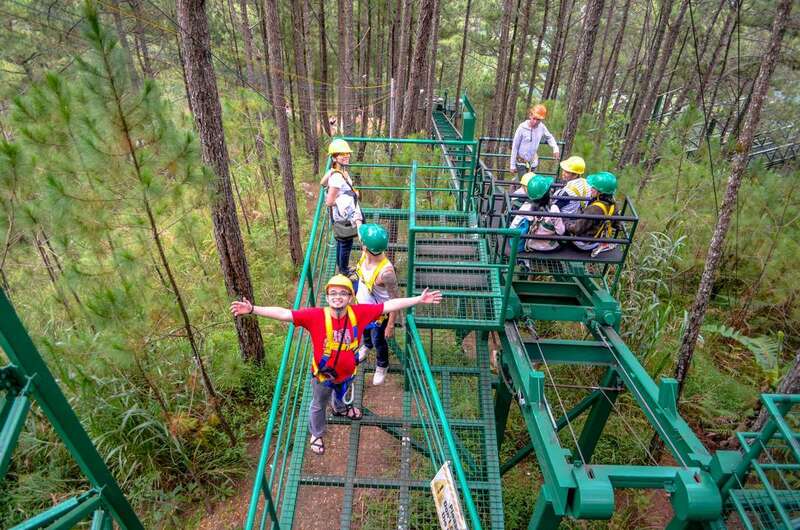 During some of the station transfers, we had to go down and walk to experience the other activities in Tree Top Adventure strategically located near the transfer stations. 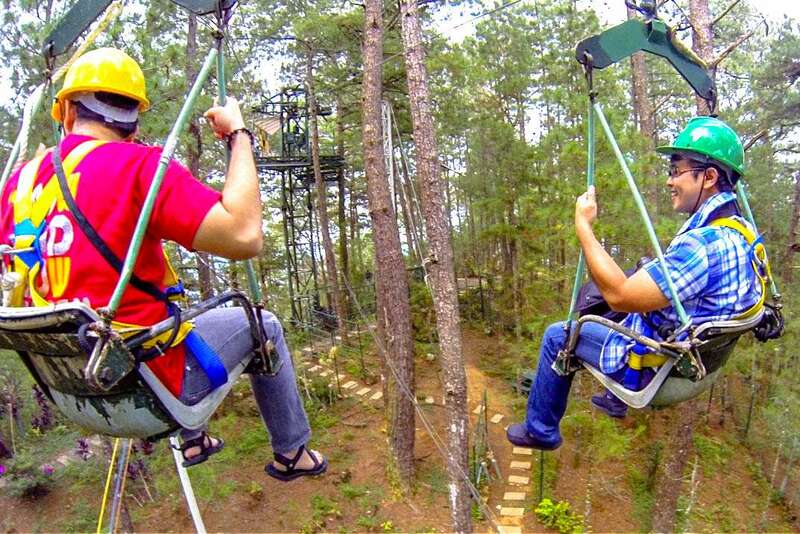 But if you choose to just enjoy the Canopy Ride, that’s also another option and the fee is Php350 per person.